Today, I went to Mt. 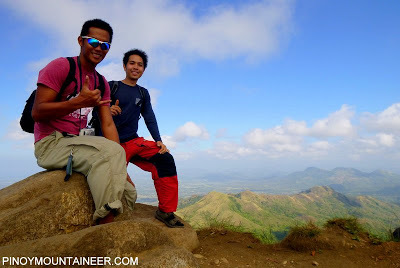 Batulao for a ‘workout’ hike with Journeying James, who happened to be intown (we both live in the beautiful town of Los Banos, Laguna at the foothills of Mt. Makiling). We left Los Banos at around 0530H and by 0710H we were at the jumpoff in Evercrest. Usually crowded on weekends, Mt. Batulao is quiet on weekdays, with none of the kids offering to guide hikers (I’d like to think they’re in school), or too many locals selling buko juice. It was foggy from Tagaytay to Evercrest, but when we were trekking, the clouds gave way to blue skies. Summer has indeed arrived. I was in Mindanao two weeks ago when the furor about a brushfire in Mt. 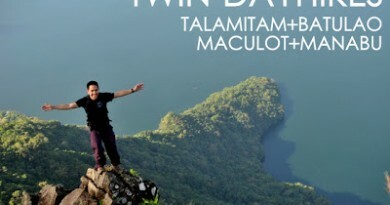 Batulao gained currency in social media. Brushfires are a common phenomenon during the dry season in the Philippines. 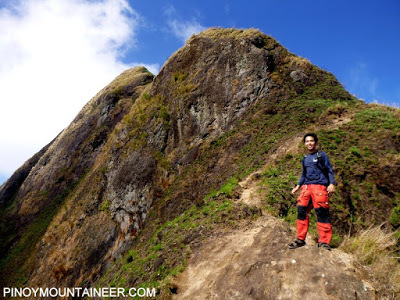 In 2007, I had the scary experience of hiking in Tarak Ridge while a brushfire was spreading. Two years later, Nick Wijangco of Talamitam documented the progression of a brushfire that engulfed the whole mountain. In 2010, I wrote an advisory about brushfires in PinoyMountaineer.com. The gist of this article was a warning to hikers to be careful when hiking during summer months in grassy mountains. Back in Batulao, there are still traces of the fires, with some charred slopes, but otherwise, the trails are fine. Most of the damage was on grass, which resiliently grows back within weeks. Some small trees, however, were destroyed by the fire, and considering this certain damage to the environment, not to mention the potential harm to humans, measures must be placed to reduce the risk of brushfires in prone areas, like Batulao, Talamitam, and many others. 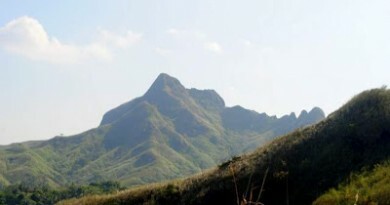 Batulao is always a nice, scenic hike and as an added bonus, it was windy today, just the way it was when I first climbed this mountain in February 2007 (wearing the same red Ground Zero pants, incidentally). James and I took the New Trail going up, reaching the summit at 0845H. Then, we took the Old Trail going down, reaching the jumpoff by 1030H and we had early lunch in Tagaytay before heading back to Los Banos. 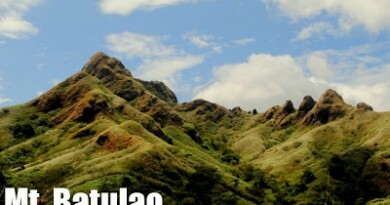 It was another nice hike in Batulao, much like the trek I had in January passing by the same route. Thanks James for joining me! ← The New PinoyMountaineer Dri Fit Shirt: Short and Long Sleeves with new colors! 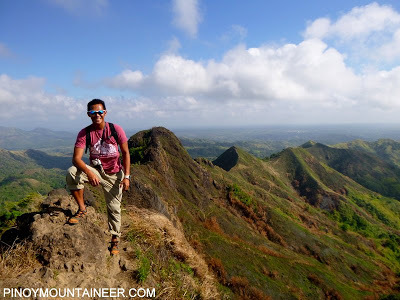 3 Comments on "Hiking matters #329: Yet again, Batulao / My take on brushfires"
Hi. Will it still be safe to climb mt. Batulao even under a rainy weather? A couple of friends and I are planning to go this saturday. All of us are beginners. 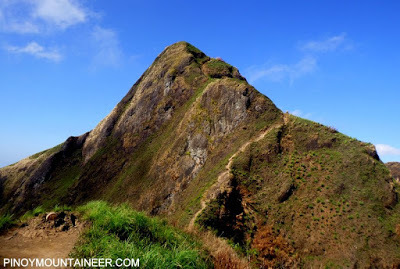 hi Sir Gid, actually locals told us during our day hike last 03/08 some locals tried burning some area po ng Mt. Batulao 2weeks before our hike para taniman, di ba po kahit sa palayan they do that para mas mabilis ma-araro yung soil, tapos lumaki daw po starting from peak 1.. I don't think that's a natural wildfire.. nakakalungkot lang, but still a wonderful mountain.